Grab a friend or the kids and head to a museum for free admission this Saturday Sept 27, 2008. Here are the details where you also download the free pass. Locations are nationwide. 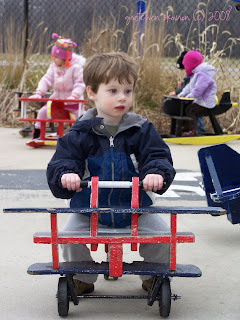 The picture of Z is from the College Park Aviation Museum and it is included in the free pass day if you find yourself in the general DC area and need a cool venue for kids. Hmmm...now what to do on Sunday.